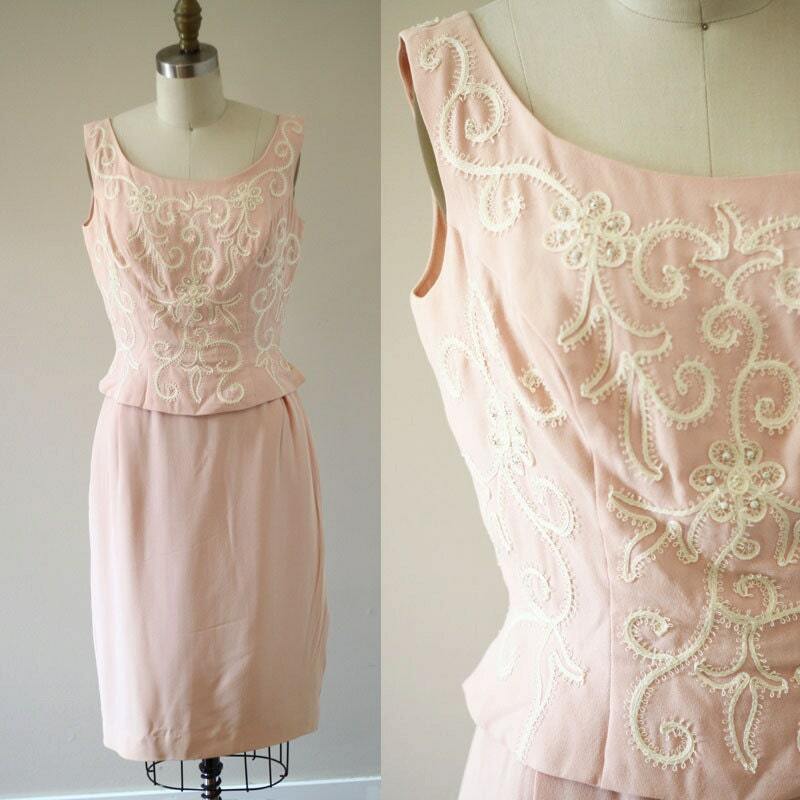 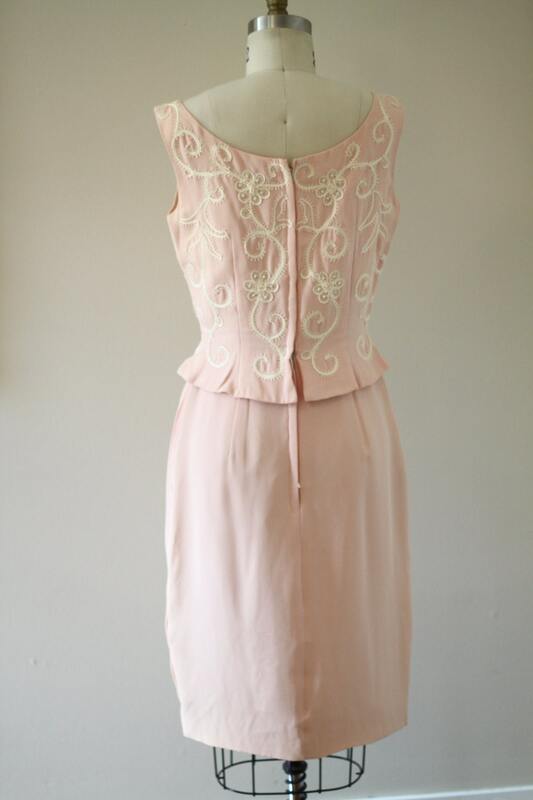 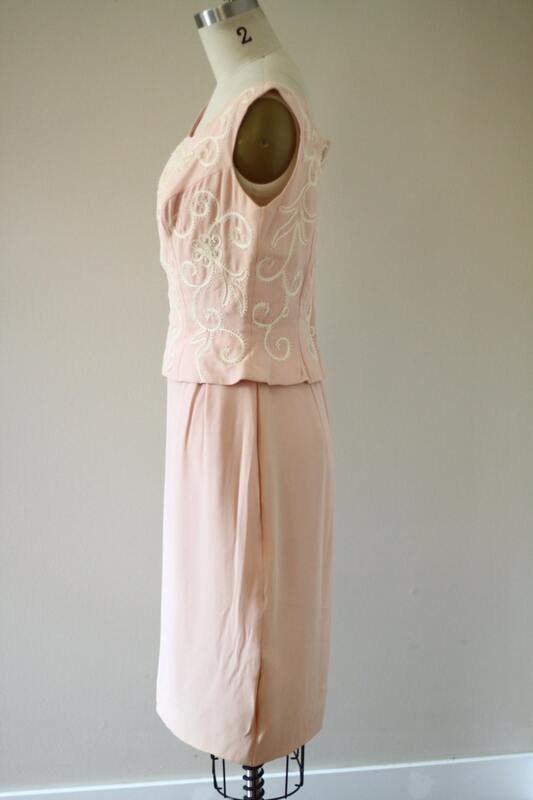 1960s pale pink sheath dress with cream coloured embroidery and beading. 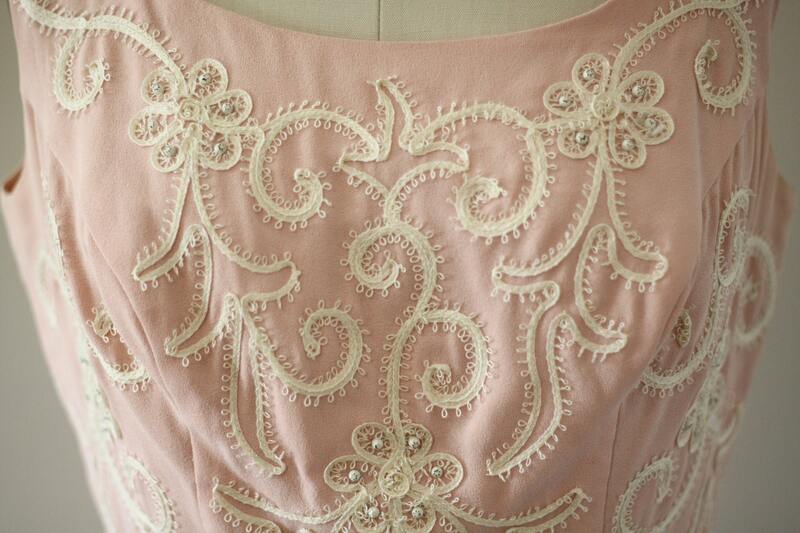 A slight peplum waistline detail and other beautiful construction details. 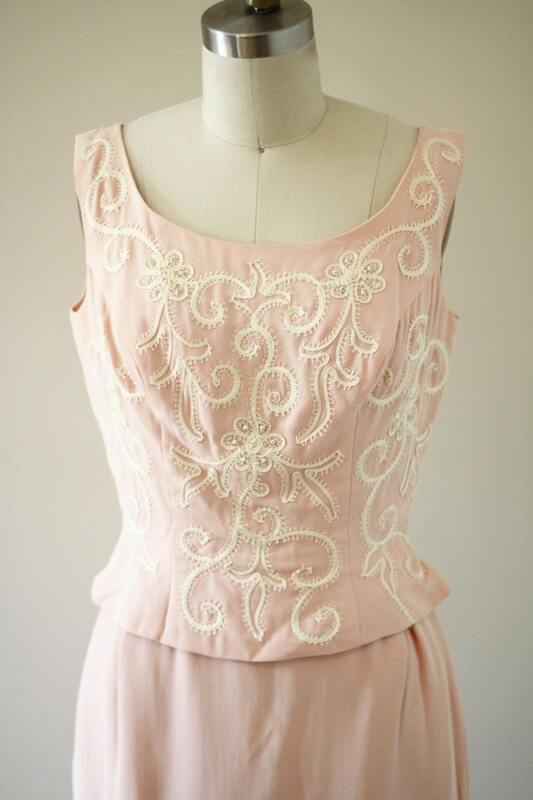 A perfect dress for a summer event.